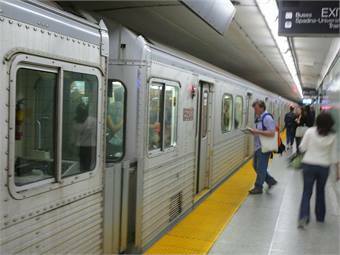 TORONTO — A Toronto Transit Commission (TTC) plan to begin testing single-operator subway trains next year marks the beginning of the end of the guard position (the second operator), The Toronto Star reports. Additionally, as the TTC begins a full-scale launch of its automated Presto fare card system, the fare collector position will be “re-engineered” into more mobile, direct customer-assistance roles, said TTC CEO Andy Byford. Byford said staff will be absorbed into other roles and efficiencies will be achieved through attrition, according to the report. For the full story, click here.